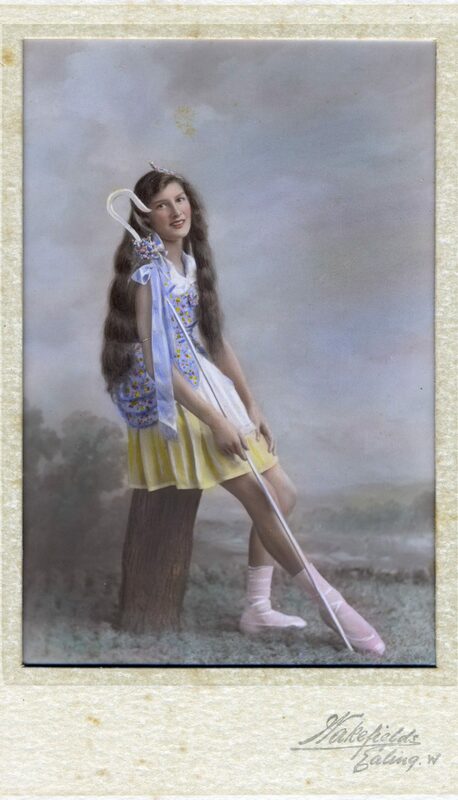 Miss Marjorie Sear in a beautiful hand-coloured photograph. 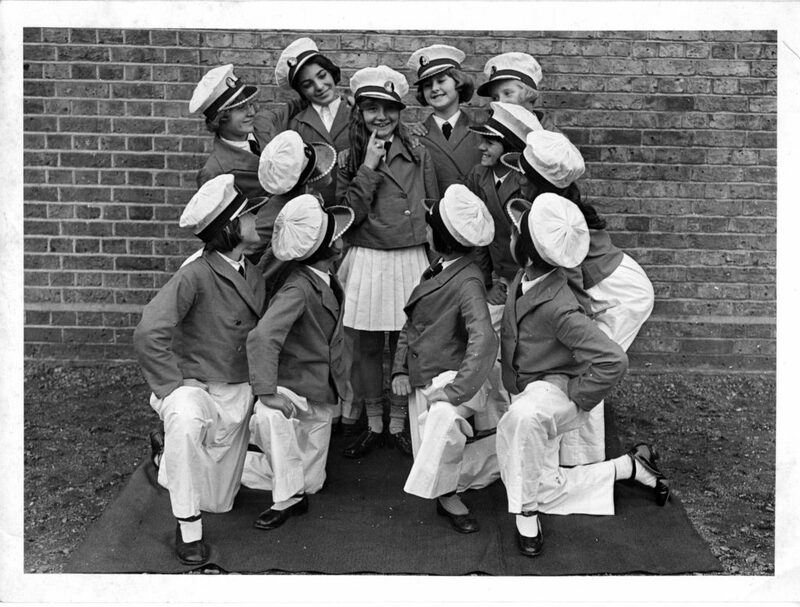 This is the only colour photograph of her from a recently acquired and comprehensive set of Marjorie and her friends all in dance poses. Many of the photographs are dated around 1939 and this is likely to be from the same period. I first came across Miss Sear when I bought a set of 22 sepia photographs of her. 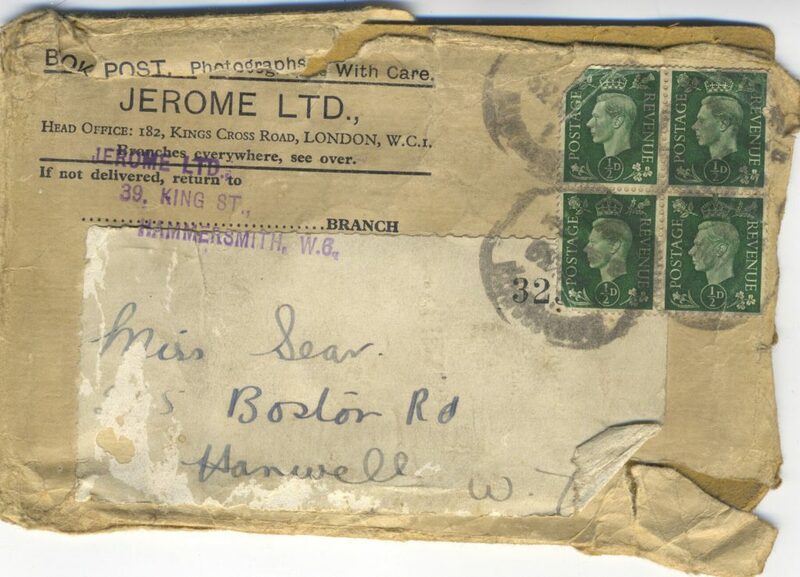 When I acquired this set the only identification was the envelope in which they came addressed to “Miss Sear.” They came in an envelope from Jerome Ltd of Kings Cross Road London. They were all date stamped 31 March 1939. 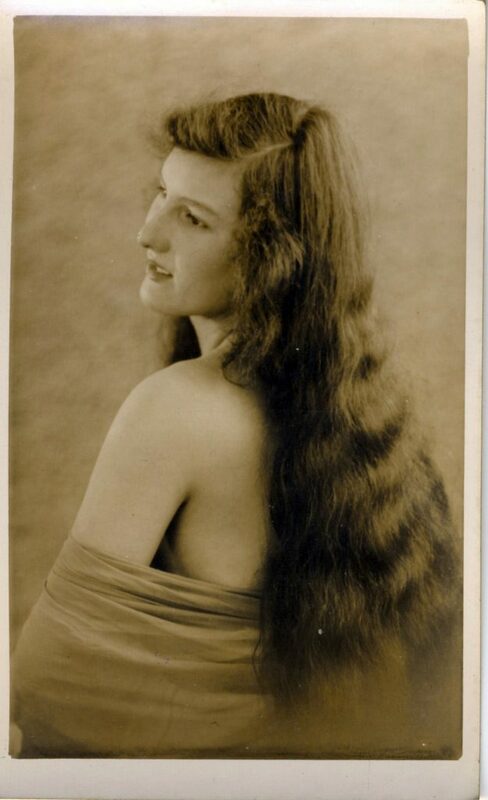 It wasn’t until I was later able to acquire two more sets of photographs from the same source that I was able to identify her as Marjorie Sear. Lots the photographs feature groups of dancers. I’m not sure whether she appears in all the group photos but she’s certainly in most of them. 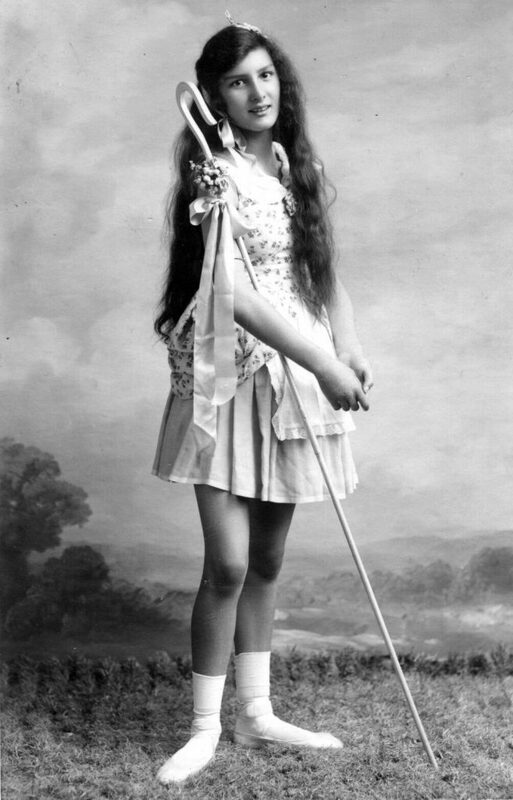 On the reverse of this shot her age is given as 15 and it’s the only photo that mentions her age. I would think the sepia shots are her slightly older and there are clearly some of her younger than 15. 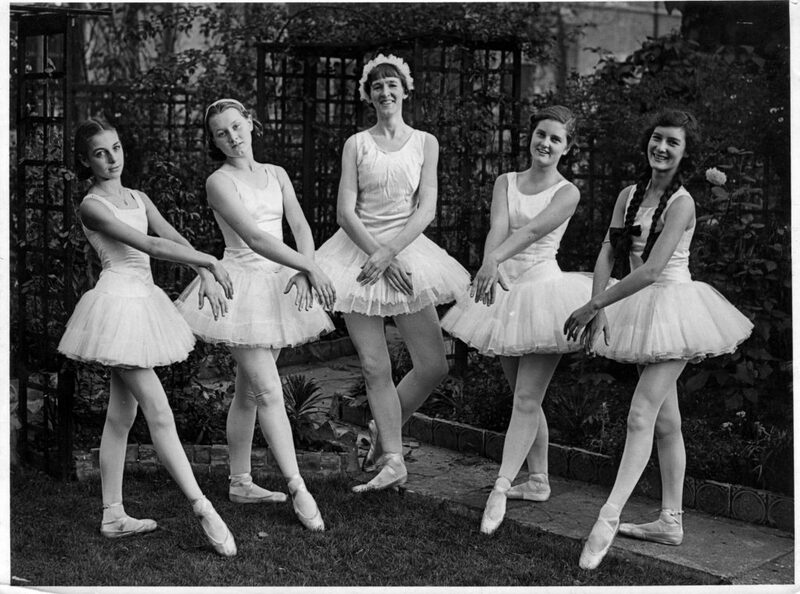 About half of the 60+ photos feature Marjorie with her friends in various dance costumes both on stage and outside. 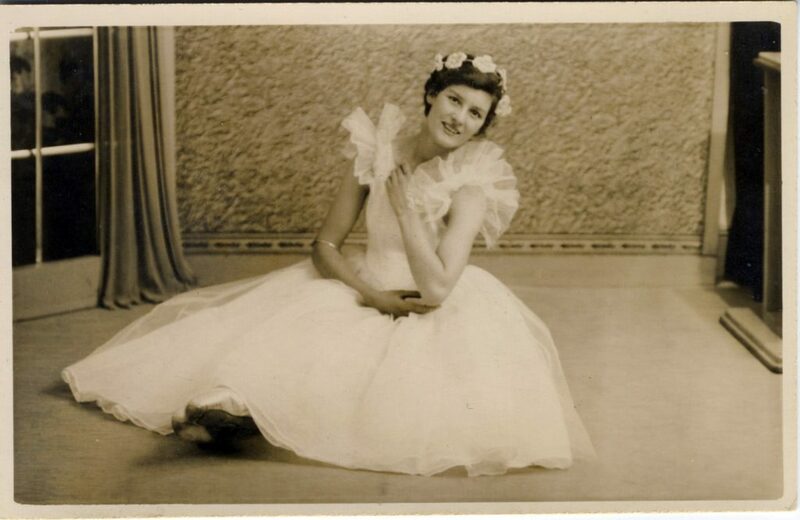 Whatever happened in their later lives they were clearly all enthusiastic dancers and liked to dress up. As ever I am amazed how family treasures such as this set of photographs can disappear into salerooms and ebay having been lost or discarded. I know that these photos came from a house clearance and so I assume Marjorie Sear is dead and there are no relatives who survive her and want to keep her memory alive. How many more marvellous documents of social and personal history have been lost for all time? You can see the full set of photographs of Marjorie and her friends in this flickr album.